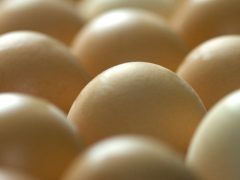 Chickens could soon offer a cost-effective way of producing high quality drugs to use on patients, new research has suggested. Drivers have been warned of a large chicken on the loose on the A90 north of Dundee. A local chicken factory has received a “red” warning from a supermarket chain. Police have released shocking images of young children lying down on a busy road and playing chicken. Police were left in a flap today in a bid to catch a chicken near Dundee city centre.